The ball is now in Apple Inc. (NASDAQ:AAPL)’s court to justify the hefty price for some of its Apple Watch models. It is still unclear whether the soon to be released wearable will live to the hype and join the ranks of iPod and iPhone as consumer electronic icons. Mashable’s Tech Editor, Pete Pachal, speaking to Fox business, reiterated that the watch could justify its price based on the kind of apps on offer. 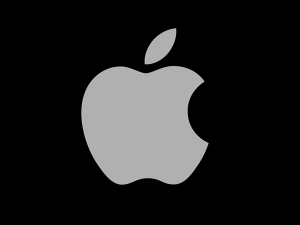 Apple Inc. (NASDAQ:AAPL) has a lot to do on the smartwatch as it will be its first all-time new product after iPad in April of 2010. Skepticism is already brewing on the need to own a gadget whose functions and capabilities are already carried by smartphones, which many people already have. Pachal is especially questioning the number of people who would be comfortable to receive calls on their wrists compared to using their phones. It also remains to be seen the number of people who will be willing to spend extra hundreds of dollars to have something that has almost the same capabilities as a smartphone. Sales for the product are also to be slightly limited as the watch only works with latest versions of the iPhone meaning Apple Inc. (NASDAQ:AAPL) will not be able to tap into people on other platforms. Apple is still going to sell more units with Apple Watch but not according to the estimates tabled by some research firms according to Pachal. The $10,000 plus watch also arouses a debate on whether people will be forced to upgrade every two years on the release of new models with more capabilities and functionality. “This is a very big question for the Apple Watch Edition because that is a $10,000 investment people are making in a solid gold piece of jewelry, and it’s obsolete in two years? I assume that at some point that maybe they will come out with a trading program, but that’s a weird thing to go obsolete in two years,” said Mr. Pachal.